"Since we all left the [Obama] administration, we've looked for opportunities to work together with old friends and colleagues, particularly when they have particular skill sets," said Ben LaBolt, founding partner at The Incite Agency. WASHINGTON: In many ways, The Incite Agency and Fenway Strategies joining forces was a long time coming, dating back to the firms’ founders’ tenure at the White House. "Since we all left the [Obama] administration, we’ve looked for opportunities to work together with old friends and colleagues, particularly when they have particular skill sets," said Ben LaBolt, founding partner at The Incite Agency. While separately, the firms’ suite of services "haven’t always overlapped," LaBolt said the agencies’ combined expertise enables them to "help clients think strategically to break through in a way that sticks to reach and persuade [their] target audience." LaBolt was President Barack Obama's national press secretary during his reelection campaign, after holding various roles by the same name, including assistant press secretary at the White House, per LinkedIn. As a result of the partnership, the firms now provide services including communications and media relations, speechwriting and message, crisis and reputation, social and digital and media training and speech coaching, according to a company statement. Offices are in New York, Washington, DC, San Francisco, and Los Angeles. Jon Favreau, founding partner at Fenway Strategies, confirmed the firms’ respective names will remain intact "for now," and the partnership will not overhaul individual responsibilities or efforts. There is growth potential, too, added Tommy Vietor, founding partner at Fenway. "We’re in more places, we have the capacity to help more people," he said. 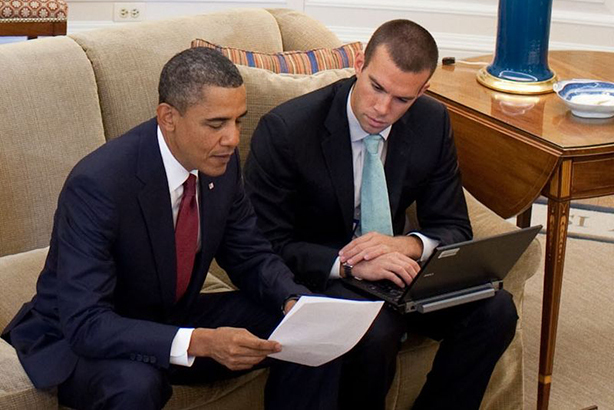 Favreau was Obama's director of speechwriting. He started working for the president when he was still a US senator, according to the firm. Vietor was a spokesman in various roles since 2004, most recently as the National Security spokesman. Drawing on political campaign expertise, the Incite and Fenway partnership offers both "ideas and content" to clients, helping them get on track with being "simple and authentic and memorable," said Vietor. LaBolt added that Fortune 500 companies have been seeking out integration support – checking off all the boxes to keep messages streamlined and that the communications departments’ services aren’t all treated as separate entities. The Incite Agency and Fenway Strategies’ partnership comes on the heels of the former's founding partner Robert Gibbs’ departure for McDonald’s. Earlier this month, PRWeek reported Gibbs is taking over the lead global communications role at McDonald’s. In that role, he will succeed Bridget Coffing, who is retiring.